Earlier this year I spent three months working on a mural for Panera Bread. The project was one of the largest I have ever done, and just the size alone required a lot of planning. 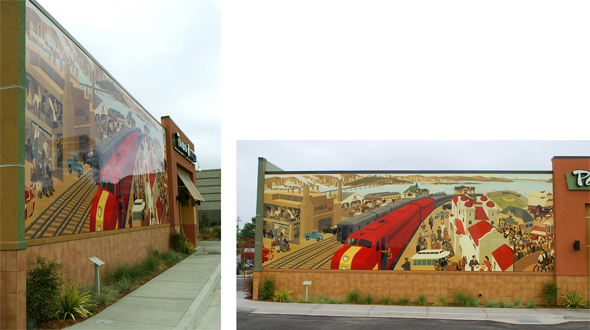 The challenge was to paint a 12 ft x 40 ft mural of a kind of history of Emeryville, California where the restaurant is located. These are the initial conceptual stages. 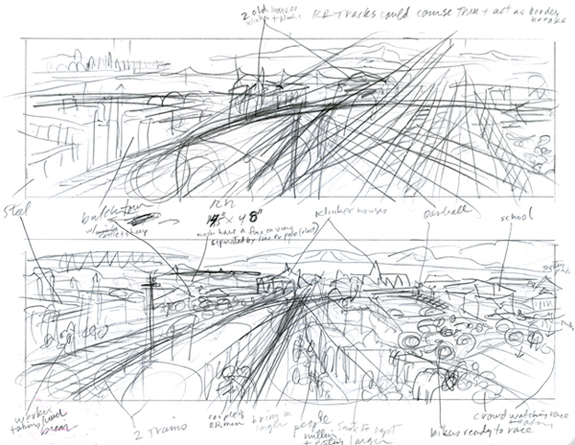 I laughed when I saw the Frank Gehry film and his initial roughs were as obscure as the ones above. 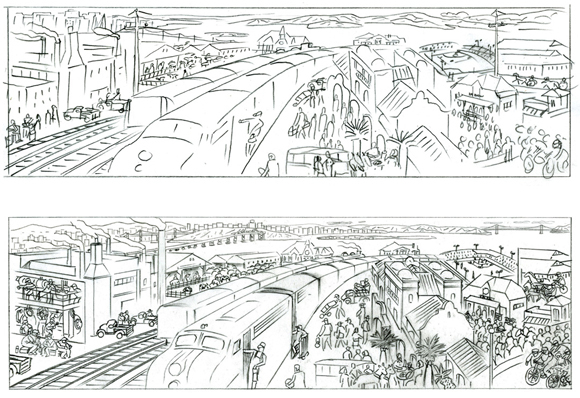 But the process evolved into the final sketch below and was approved by the client. The final painting was done about 60 inches wide. I took eighteen scans and spliced them together to reach the 40 ft mural size for the restaurant. I wasn’t sure if my imac would blow up during the process, but it came through with flying colors. It was nice to see the final installation.